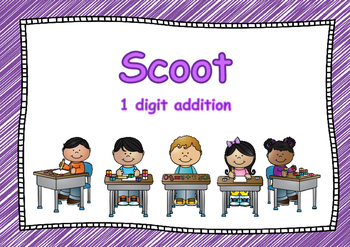 Scoot is a great way to engage learners. Rather than give them a worksheet with 25 or more questions which will no doubt result in a groan from students, by asking them to move around the room between each question and try to beat a timer. Students suddenly can’t wait to start. 1.Cut and laminate the activity cards, that way to can reuse the cards again and again. 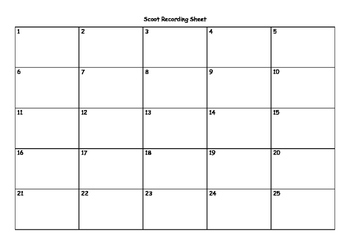 2.Copy the student recording sheet, one for each student. 3.Place one card on each desk. 4.I like to provide my students with ‘working out’ material as there is not enough room for this on the recording sheet. This is usually consists of a whiteboard and a marker, but it could be anything that works for you. 1.Have students practise moving around the room. I often find that this is the most challenging part to begin with but with a little practise they are soon moving smoothly. Explain that the number on the card on their desk will help them know what card they need to move to next. So card 3 would move to card number 4, 18 to 19 and that the last number moves to 1 etc. 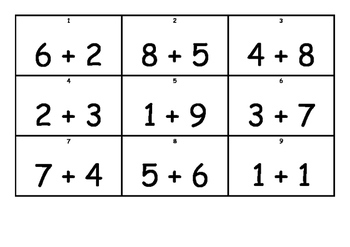 2.Explain to students that the number on the card on his/her desk correlates to the number on his/her recording sheet. So the answer to card 12 goes in box 12, card 20 into box 20 etc. 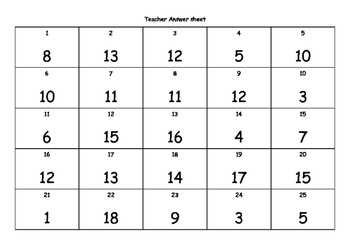 4.Students will then move [scoot] to the next card and begin working on that question. 5.Repeat until students have completed all questions.